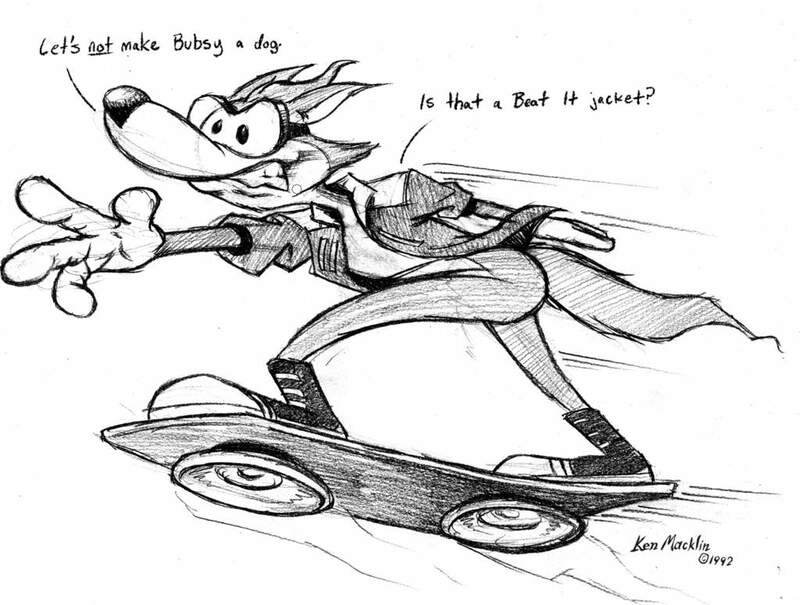 I believe that this was one of the first sketches that Ken Macklin drew up. 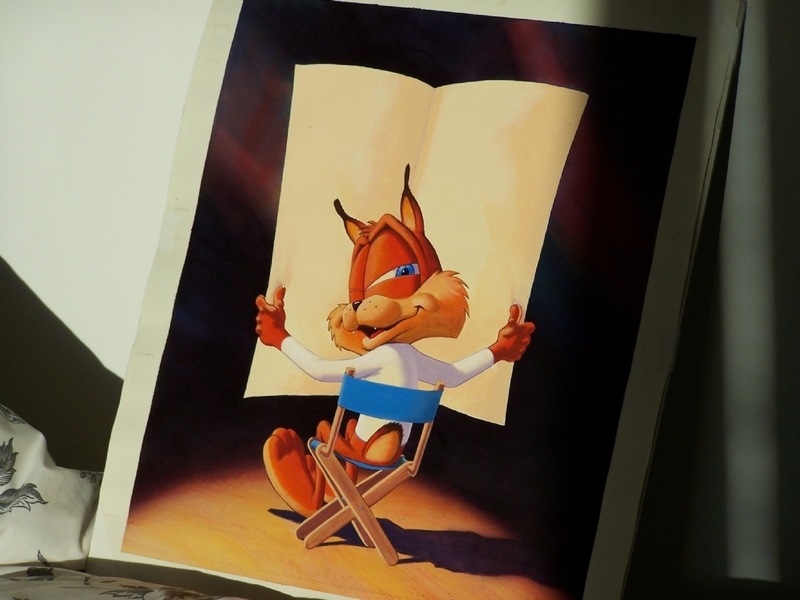 Bubsy seemed to be considered to be a dog at one point. This one is a little more well known, actually being published in a GamePro Magazine. 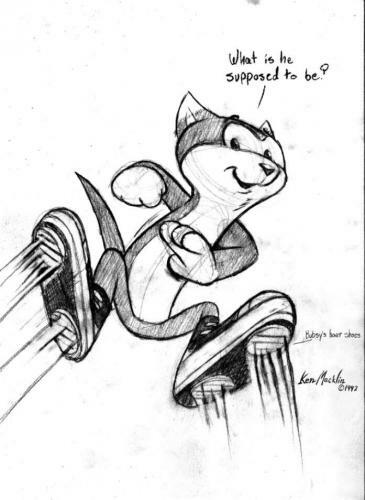 It's a bit more simplistic, wearing hover shoes. Keep in mind that I am not profiting nor claiming these images as my own. All material shown here belongs to their respectful owner(s). Those are really cool. Love the Oblivia inspiration and can certainly see the resemblance. As for the dog, I believe I remember Mike Berlyn saying that a dog was the original idea but on further thought believed to conflict (copyright wise?) to a dog character in a previous game he had released? The last one is a classic. Always liked that one. So is this Ken Macklin's blog? Could be, could be not. I'm not sure.